ATHENS, Ga. – A Ph.D. geneticist is receiving both support and criticism following his claim that humans evolved after a chimpanzee mated with a pig. Earlier this year, McCarthy published a lengthy article on MacroEvolution.net titled “Human Origins: Are we hybrids?” In the article, McCarthy suggests that humans evolved after a female chimpanzee mated with a pig. 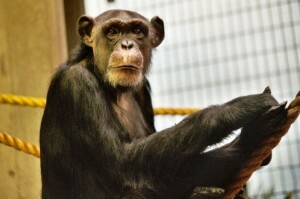 Though McCarthy is not fully convinced that humans are in fact chimpanzee-pig hybrids, he says his research is compelling. Not only do pigs and humans share certain genetic features, according to McCarthy, but their appearances are also comparable. McCarthy admits that he “initially felt a certain amount of repugnance at the idea of being a hybrid,” since “[t]he image of a pig mating with an ape is not a pretty one.” Nevertheless, he is now more comfortable with the idea of both chimpanzee and pig ancestors. However, scientists who believe in Biblical Creation reject the claims of McCarthy and other evolutionists, explaining that similar design characteristics between species is evidence of a common Creator—not common ancestors. Nevertheless, Menton said, McCarthy’s assertion that humans are descendants of a chimpanzee and pig is mere “speculation.” McCarthy’s claims rather reveal that evolutionists are increasingly dissatisfied with Darwin’s evolutionary theory, he continued. “But when we go from recognizing zebra/donkey or sheep/goat animals of same kind to mixing chimp and pig to get humans, that is off the map,” Menton said.